Pickling Spice is a typically British spice mixture that can be purchased ready-mixed, but some cooks prefer experimenting and emphasizing different flavours. 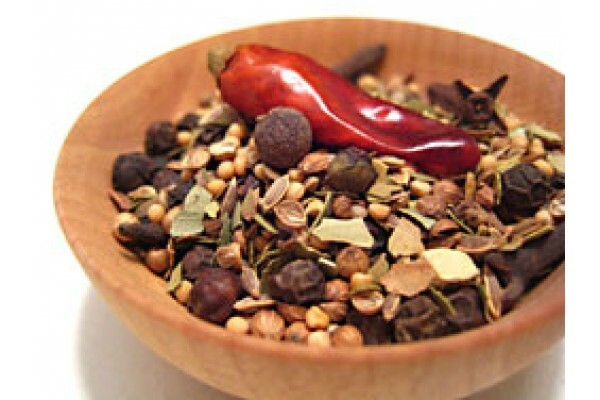 In some recipes, the bag of spices may be boiled with the vinegar, then allowed to infuse. Added to a sweet or salty brine, pickling spices preserve while adding flavor. Customize your own special pickling spice by changing the proportions or adding other dry spices from your collection to this easy combination. The spices are then discarded and the flavoured vinegar is used in the pickle. Sometimes the spices are crushed before adding to the mixture; for other recipes the spices are tied into a cheesecloth bag, which can be removed after cooking.